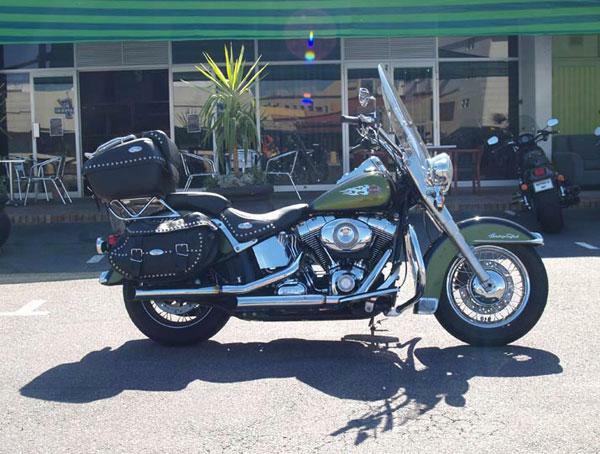 Experience the thrill of a Harley while touring the Peninsula, Winelands or beautiful West Coast. We offer a range of popular Harley-Davidson motorcycles for hire or if you do not have a big bike license, we’ll take you for a chauffeur ride. Our Heritage Grand Tourers are fully equipped for long distance riding and come complete with tall screens, saddle bags as well as top boxes with additional luggage carriers and even two up you will have loads of space to tour & cruise in comfort and style. Helmets, gloves, wet weather riding gear etc. are offered complimentary, if needed. For full rental information, click here. Enjoyed a spectacular, sunny, 25 degree day with my charming guests from Finland as we explored the Cape Peninsula today. 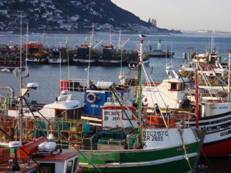 Just look at the views from the windows at Harbour House Restaurant – waves dramatically sculpting the mussel encrusted rocks below, offset by the backdrop of authentic Kalk Bay harbour boasting brightly coloured fishing boats gently bobbing in unison at the sheltered quayside. 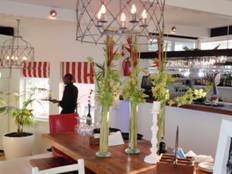 We appreciatively savoured a sumptuous lunch surrounded by beautiful, relaxed décor whilst being attended to by the ever friendly and efficient staff. World of Birds (including the monkey enclosure where one is permitted to mingle freely with Squirrel Monkeys). Duiker Island to see Cape Fur Seals in Hout Bay. Gem Stone Polishing Factory on the outskirts of Simon’s Town. Rupert Motor Museum L’Ormarins: Four custom built buildings housing an outstanding collection of Vintage and Collectors cars (except Mondays). Rupert Art Gallery, Stellenbosch: View an incredible collection of South African Masters work. Visit sites relevant to the Slave History of our past in the Cape. Black Economic Empowerment Winery project. View the site where Nelson Mandela was freed in 1990 at Drakenstein Prison. Wine tastings on horseback or bicycle. 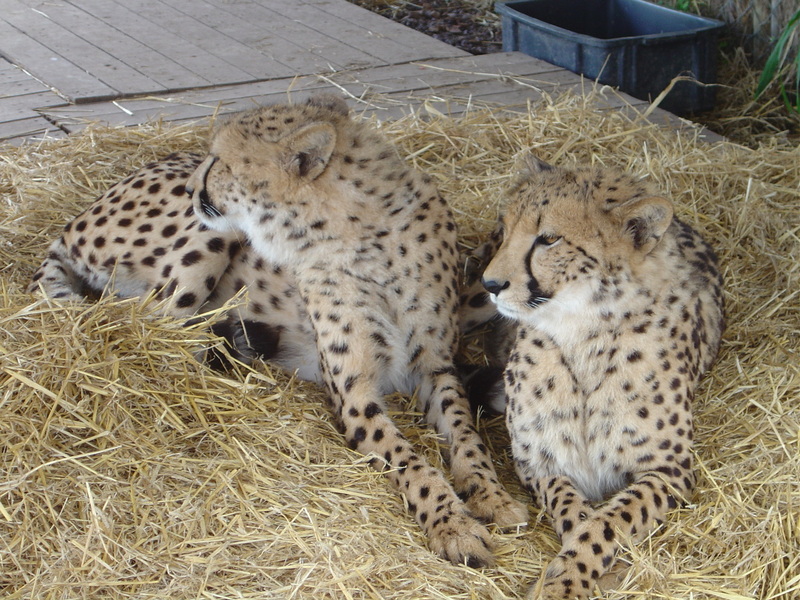 Visit the Cheetah Outreach Project, learn about the project and pet Cheetahs. 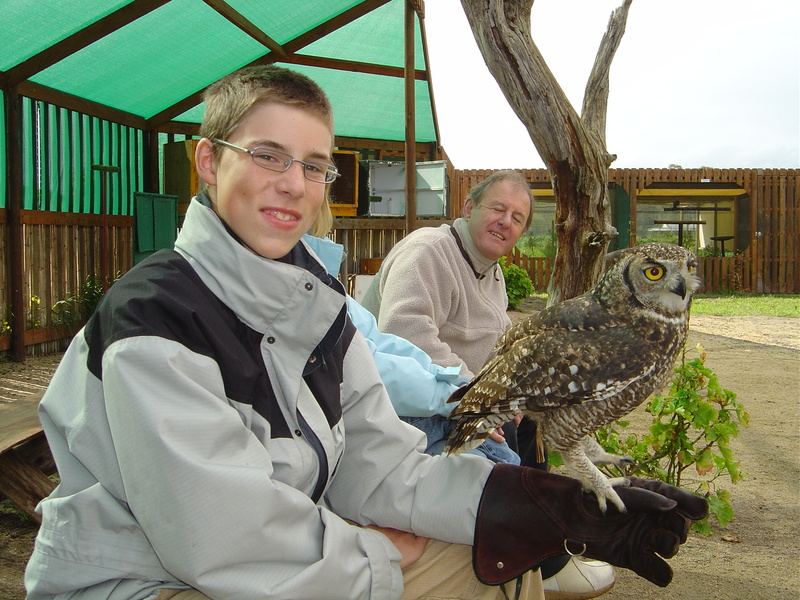 Visit the Raptor Enclosure at Spier and partake in interractive falconry displays and hold some of these magnificent creatures. Going up the Cable Car to the top of Table Mountain (weather permitting). Repel from the top of Table Mountain to about 100m below. Witness the firing of the Noon Gun – our oldest enacted tradition (except Sun). Visit the original Dutch East India Company Fort or the Planetarium in addition to those museums mentioned in the suggested itineraries. The Slave Lodge, Prestwich Street Memorial and the District Six Museum are of great interest for those interested in our fractured past. Visit unique Moyo African Restaurant not far from Cape Town on the West Coast with outstanding views of Table Mountain. Visit Robben Island Museum by boat (3-4 hours). The Two Oceans Aquarium is a must to view life under water without getting wet! Trips on the quintessential Hog: Harley Davidson Motor Bikes (with or without side-cars). Thunder City – get to be a passenger in a fighter jet! Hiking – Table Mountain or Lion’s Head with a guide knowledgeable about the route as well as flora and fauna. Viewing sharks from Cages in the water or aboard a boat. Visit exotic Spa’s for numerous different therapeutic treatments. Play golf at one of our many excellent courses either in Cape Town or the Winelands and other outlying areas. The ultimate Colonial Experience has to be Afternoon Tea at the Mount Nelson Hotel, the only surviving Colonial Hotel in Cape Town. Retail therapy is always an option! There are numerous wonderful markets, shops and City streets which sell a variety of wares, not to mention the world famous Waterfront Develpment where shops and restaurants abound. The Cape Quarter in the Waterkant Street area is also well worth a stroll. 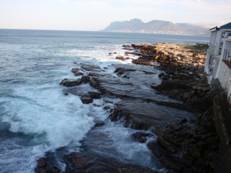 This is a wonderful opportunity to see a bit more of the Cape countryside and enjoy some whale watching – either from the cliffs and paths above Walker Bay or participate in boat based whale viewing. Either way, you’ll have a remarkable excursion. Best times of the year are between August and late October when the Southern Right and Humpback whales grace our shores. Slides below include the Old Harbour in the centre of Hermanus as well as Bientangs cave restaurant where whales have been known to keep a close eye on the diners nearby! Bientang was a resident of the cave for many years and had a special relationship with the whales that kept her company. Overlooking this is the interesting Memorial dedicated to Roger Bushell who’s parents hailed from Hermanus. He became a prisoner of war during WWII and his heroic attempt to escape has been immortalised in the film “The Great Escape”, which premiered in his home town. Bushell’s role was played by Richard Attenborough – other actors in the film include Steve McQueen, Charles Bronson, James Garner. 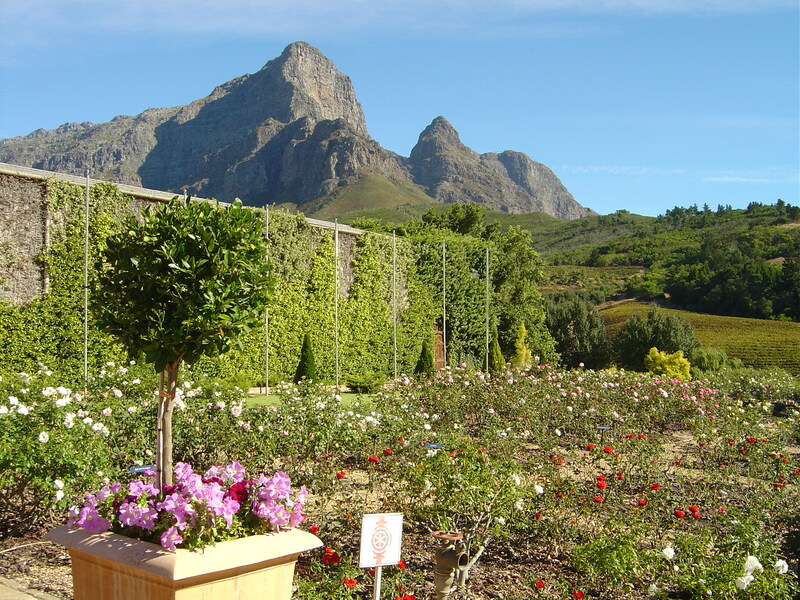 There are many private gardens which may be viewed in Cape Town as well as the Winelands. One can either make gardens the entire focus of the day or weave in a wine tasting en route to slake parched throats! There are many private gardens and those on wine farms and hotels which may be visited. Some favourites have proved t0 be The Cellars, Stellenberg, Vergelegen, Rustenberg, Mount Nelson amongst others. Jackie is passionate about plants and gardens! Hence, she has developed a repertoire of beautiful gardens which may be visited – both in the public and private sphere. The one public garden which cannot be missed is Kirstenbosch Botanical Gardens which sports a collection of roughly a third of the plants of Southern African origin. Thus, the emphasis is largely on indigenous plants in Southern Africa as well as plants belonging to the Cape Floral Kingdom, also known as Fynbos (translated as Fine Leafed Bush). 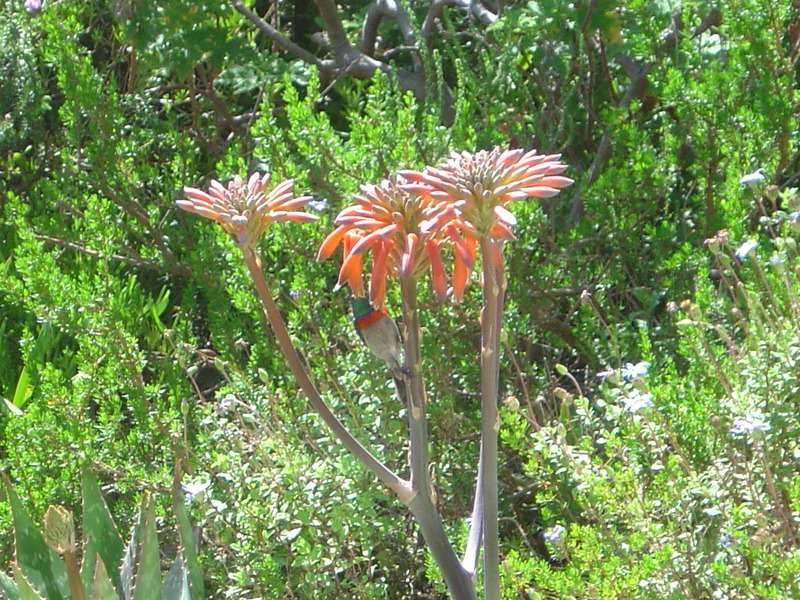 The Proteacea Family, as well as Ericas or Heath varieties, Restios or Reeds, bulbs, succulents and many more are represented in the unique Fynbos realm. Many of these plants have medicinal properties which have been known and exploited for centuries. The gardens are laid out on the sloping rear of Table Mountain – land which was bequeathed to the nation when Cecil John Rhodes (erstwhile Prime Minister of the Cape Colony and founder of De Beers diamonds) died in 1902. The views accross the Cape Flats were the favourite of Rhodes. The hard landscaping, held in place by a series of sweeping terraces, is divided into several sections, very effectively showcasing such diverse specimens as succulents, cycads, seasonal spring daisies, a braille trail, a scented garden, endangered plants, useful plants, medicinal plants, proteas, waterwise gardening examples etc. The gardens may be visited on foot or by Golf Cart for those with walking difficulties. In addition we can, according to your interests, incorporate a visit to the Spier Cheetah Outreach Project, Interractive Raptor Displays, Rupert Vintage Car Collection or Art Museum, Slave Museum, worker empowerment projects and even visit a well known Potter’s studio. There are many opportunities to browse shops in quaint towns en route. The region features plenty of other activities and sites which will appeal to both young and old.